Size of this preview: 800 × 406 pixels. Other resolutions: 320 × 163 pixels | 640 × 325 pixels | 1,024 × 520 pixels | 1,992 × 1,012 pixels. 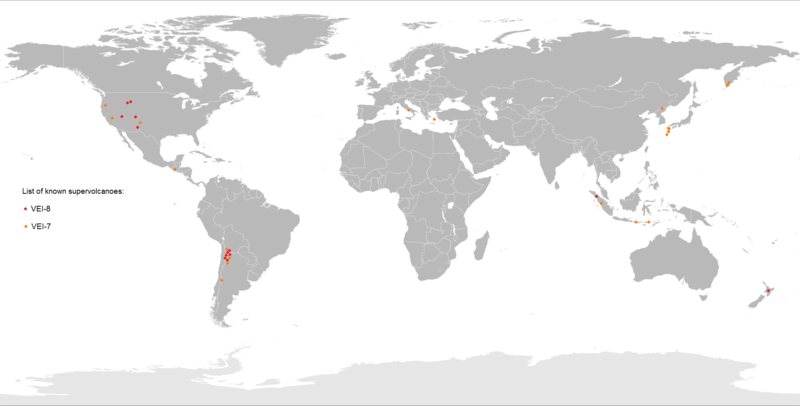 English: Map of known supervolcanoes around the World. current 19:10, 20 March 2018 1,992 × 1,012 (236 KB) Maphobbyist Added Pacana Volcano and Panizos Volcano.